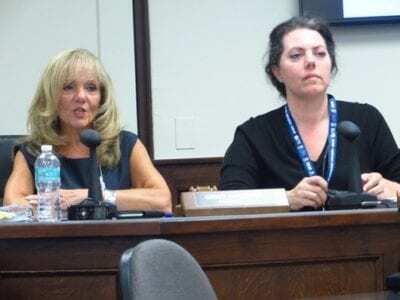 Legislature Chairwoman Ginny Nacerino explains the rationale behind a proposed $5,000 salary hike to members of the Putnam Legislature next year at last Thursday’s Budget Committee meeting while lame duck Legislator Dini LoBue’s expression shows her … Please login below or purchase a subscription to the Putnam County Courier to access this content. 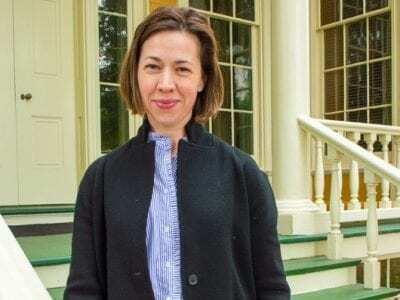 Jennifer Carlquist is the new Acting Executive Director at Boscobel. She is shown last Monday outside the Neoclassical mansion, which has stunning views of the Hudson River and West Point and is a key county tourist attraction. Photo by Chris Layton … Please login below or purchase a subscription to the Putnam County Courier to access this content. A report of an alleged inappropriate relationship between a staff member and student at Brewster High School has resulted in the unidentified school employee not having any contact with students. Brewster Superintendent Valerie Henning-Piedmonte repo… Please login below or purchase a subscription to the Putnam County Courier to access this content. The classic comedy “You Can’t Take It With You” will be performed in Carmel starting this weekend thanks to the Brewster Theater Company. The show’s storyline features the close-knit Vanderhof family pursuing their often odd ambitions at home. The fa… Please login below or purchase a subscription to the Putnam County Courier to access this content. Participants line up on the dance floor. Photo by Eric GrossWhat a party! 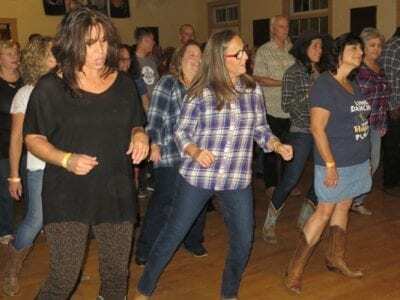 More than 200 crowded into the Carmel Veterans Hall Friday evening for an evening of line dancing courtesy of the Carmel Rotary Club. The fund raiser benefited the Joseph Dwye… Please login below or purchase a subscription to the Putnam County Courier to access this content. 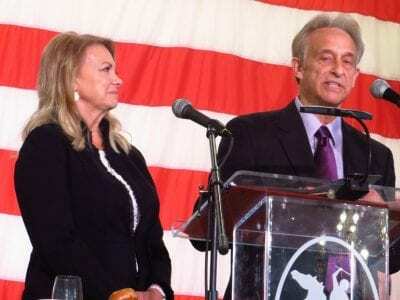 In a rather conspicuous move, a group of Putnam County supervisors has sent a letter to County Executive MaryEllen Odell in the form of a press release, expressing their “disappointment” at Odell for not putting together a Shared Services Initiative … Please login below or purchase a subscription to the Putnam County Courier to access this content. Guest speakers Mitze and Rick Pudlo discuss their belief in the Lord. Photo by Eric GrossScores of Putnam’s movers and shakers were up early Tuesday to pray at the county’s 26th annual Leadership Prayer Breakfast. Leaders in the fields of education, … Please login below or purchase a subscription to the Putnam County Courier to access this content. Wildlife highlighted the evening’s celebration. 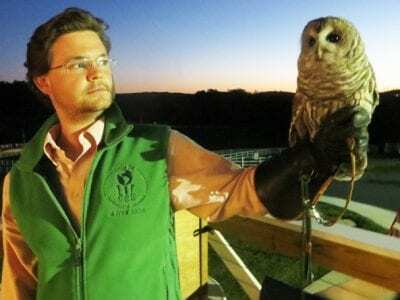 ‘Nix’, a magnificent Bard owl is held by instructor Colin Remick as the sun sets. Photo by Eric GrossThe future has arrived at the Tilly Foster Farm. 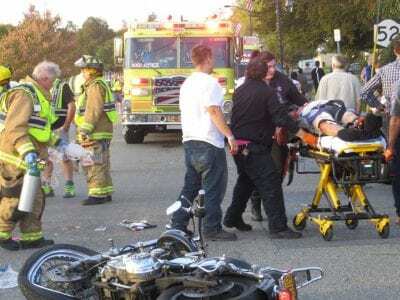 Last Tuesday evening, one hundred guests gathered at… Please login below or purchase a subscription to the Putnam County Courier to access this content.